Shipbuilding and shipping capacity in China surged as the country's demand for raw materials escalated in tandem with breakneck economic growth and investment in infrastructure. China has 20 ports that can handle more than 100 million tonnes of cargo and in 2010 built ships with deadweight tonnage of 65.6 million tonnes, overtaking long-time top builder South Korea for the first time. China – which overtook Japan in 2010 to become the world's second largest economy – dominates the global trade in just about every commodity including iron ore (representing some 60% of the global 1 billion tonnes seaborne trade), copper (38%), coal (47%), nickel (36%), lead (44%) and zinc (41%). The benchmark Baltic Dry Index is down 44% year to date at 958. The BDIY reached a high of 11,793 in May 2008 – that is a 91.8% drop. Three-year charter rates for capesize ships which carry 80% of the world's 1 billion tonne iron ore trade have tumbled to roughly $10,000 a day from $55,000 five years ago. Globally prices for Capesize vessels that can carry 150,000+ long tons have slid to roughly $46 million – half of what it was in 2007. 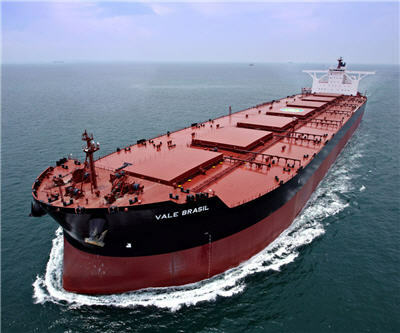 Valemax vessels capable of carrying 400,000 tons built for number one iron ore producer Vale are still barred from Chinese ports. These carriers cost roughly $110 million to build – they are now valued at less than $70 million. Worldwide orders for dry-bulk vessels dropped 49% to 9.8 million deadweight tons in the first half of 2012. The share price of Rongsheng Heavy, China's largest shipbuilder not under state control, is down 72% over the last 12 months. Astonishingly, it has not announced a single contract for new ships in 2012. The monthly index of new-ship prices in China is now at its lowest point since March 2004. China has 1,536 shipbuilding companies. About half of shipbuilders in the country may be forced to close within three years according to state-owned China State Shipbuilding Corp.